Maritzburg United head into a first ever league encounter with newly-promoted Baroka FC, at the Peter Mokaba Stadium on Sunday afternoon (3.30pm kick off). The Team of Choice head into the game in ninth position, with 11 points, the same number as Baroka, who have an inferior goal difference. Maritzburg have scored 10 goals and conceded 13. Baroka have netted 11 and allowed 16 into their own net. Both clubs have played 11 matches. United have claimed six points – one win and three draws, from their last five matches, while Bakgaga have drawn four and lost one. The Limpopo side scored a last minute equaliser against Orlando Pirates to earn a 1-1 draw in their last game, while Maritzburg also drew 1-1 – with Chippa United at the Harry Gwala Stadium. In their six home games this season, Baroka are yet to win, having drawn four and lost two. 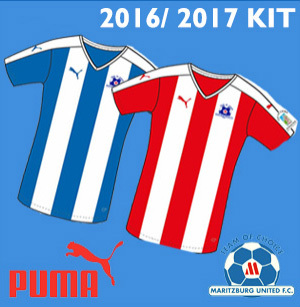 Both Maritzburg’s wins this season have been away – they have won two, lost two and drawn one on the road. Maritzburg care-taker coach Fadlu Davids wants to see the side making better use of their chances to win game. "We are missing clear cut opportunities in the last minute. Against Highlands Park (at home) and against Golden Arrows and earlier this season as well against Mamelodi Sundowns and SuperSport United. But we just need to man up to turn things around. We have to keep going and fight as a team," he said.